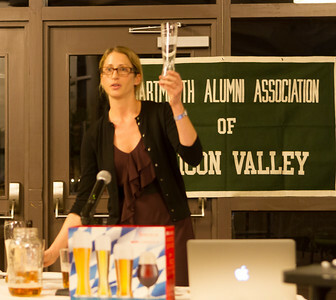 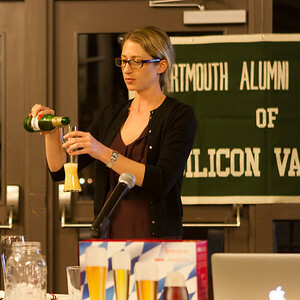 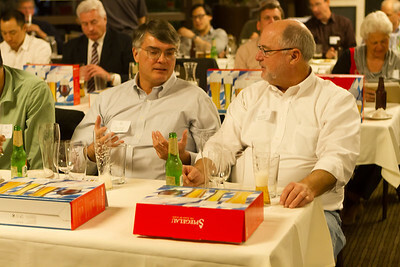 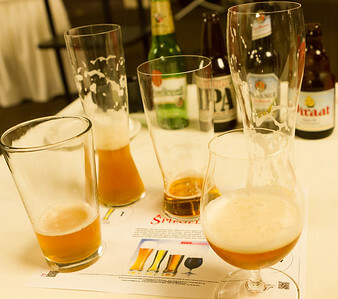 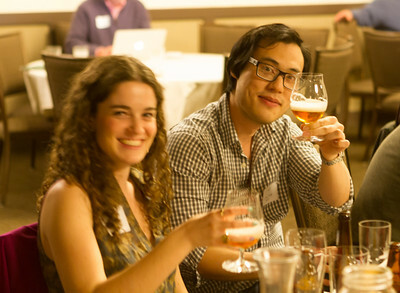 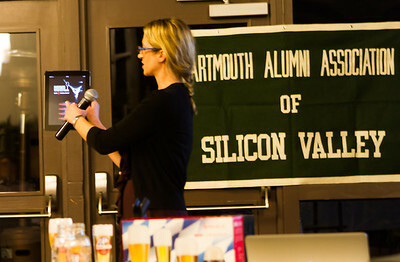 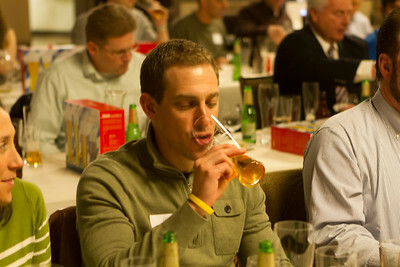 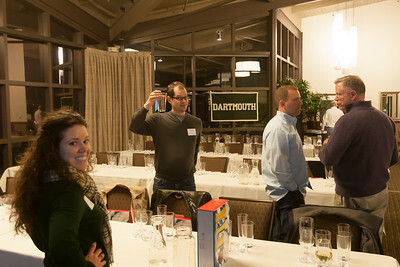 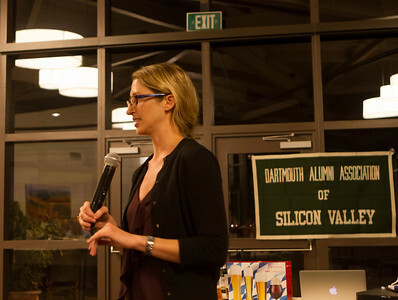 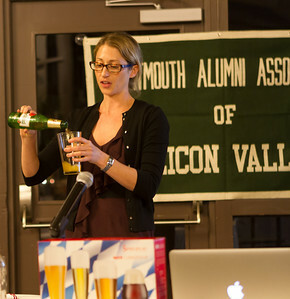 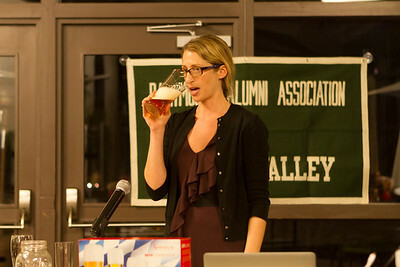 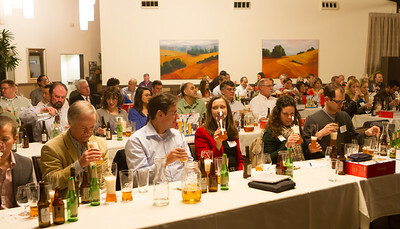 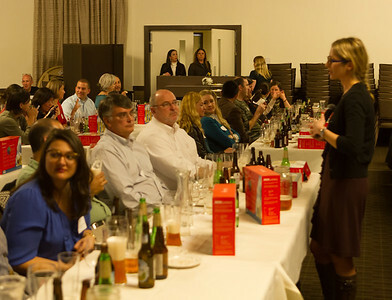 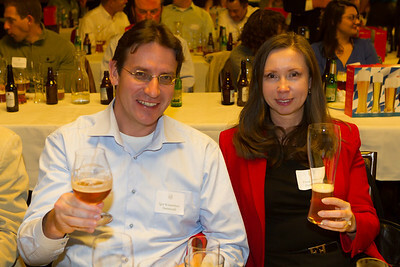 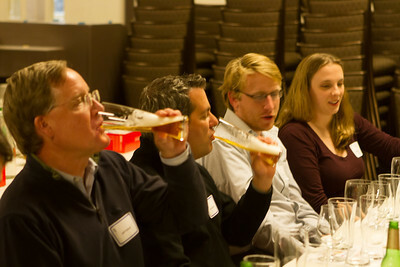 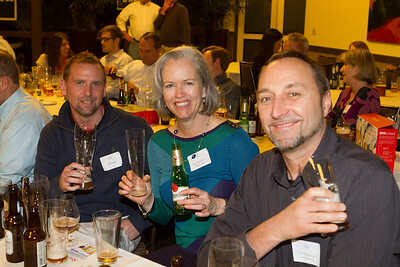 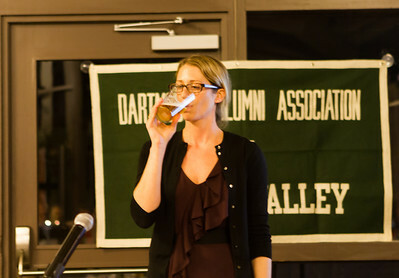 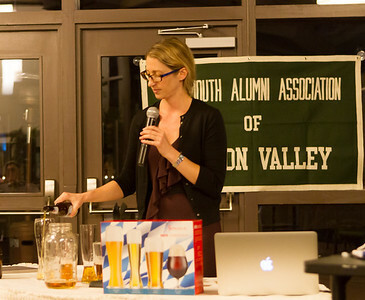 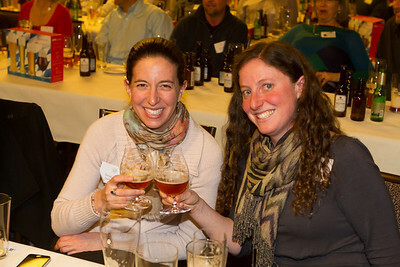 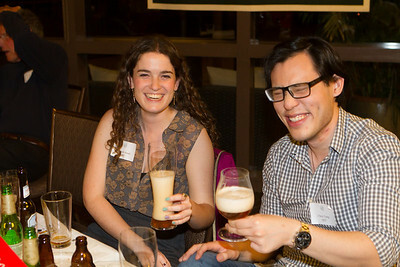 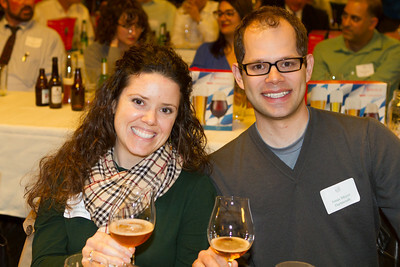 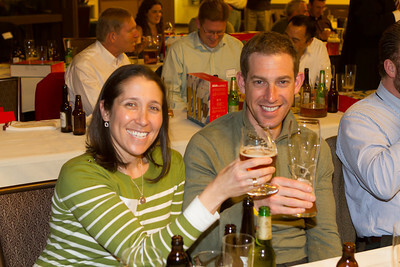 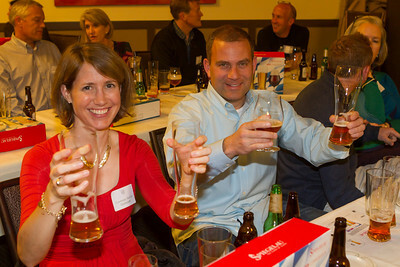 On 1/30/2013 the Dartmouth Alumni Association of Silicon Valley put on a Spiegelau/Riedel Beer Glass Workshop to allow attendees to experience the enhancement to the beer drinking experience from the use of glasses designed to match specific brews. 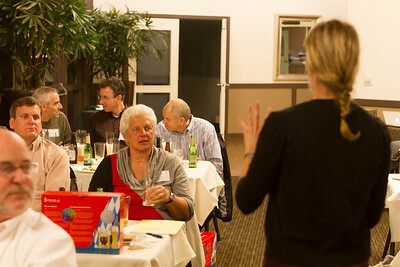 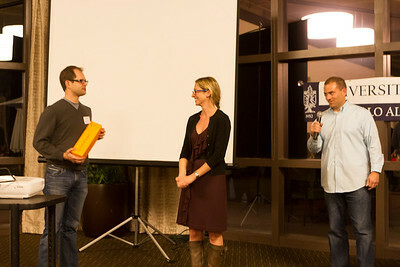 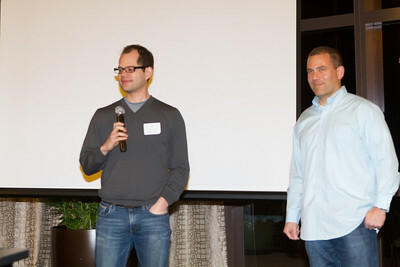 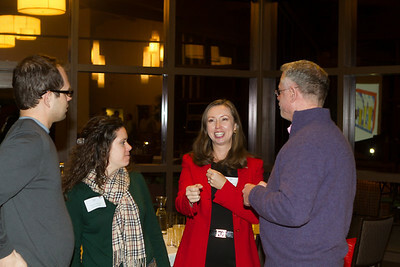 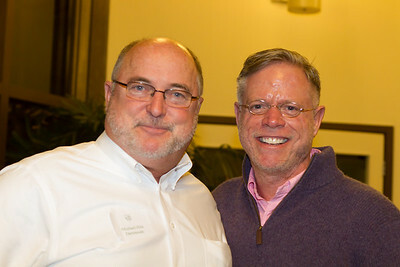 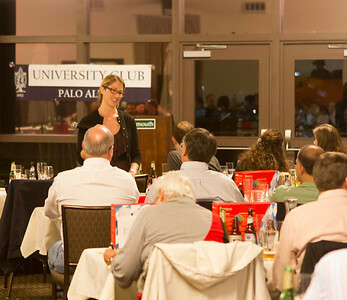 The event was held at the University Club of Palo Alto, and other alumni groups joined in. 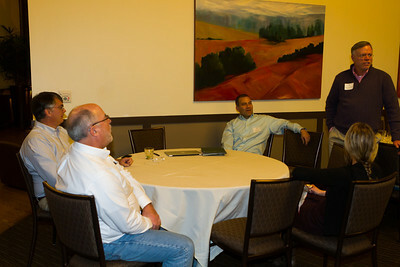 These photos are available for participants to download and use. 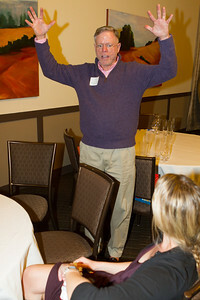 If any are published a photo credit to George Hamma would be appreciated. 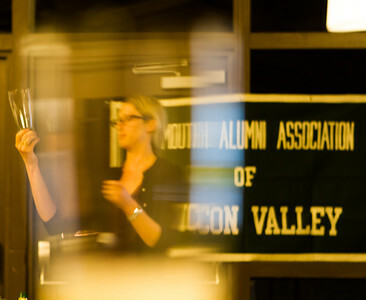 High quality prints are available by clicking on the "Buy" button. 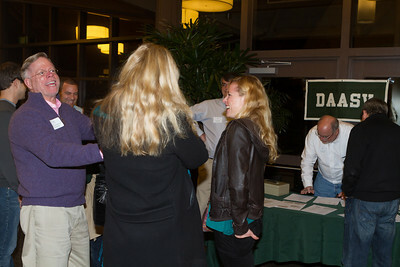 Photos (C) 2013, George Hamma. 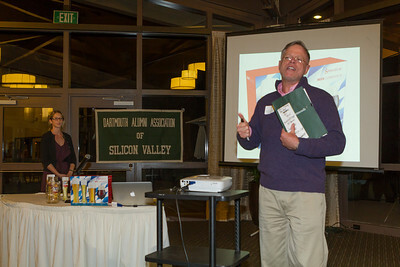 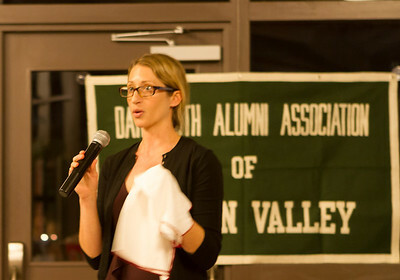 Welcome to the University Club of Palo Alto and the Dartmouth Alumni Association of Silicon Valley hosted event. 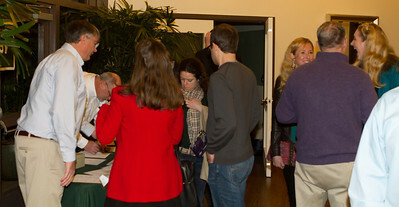 Everyone signs in to get a badge showing affiliation. 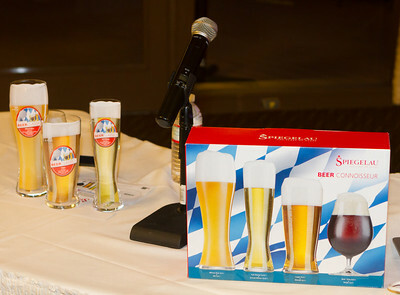 The stage is set, ready to go. 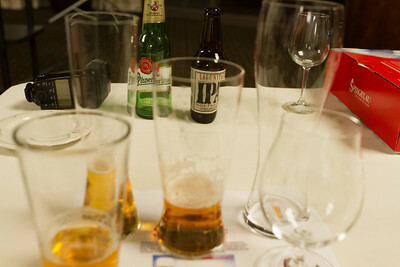 There are four different kinds of glasses tonight, each optimized to complement a particular type of beer. 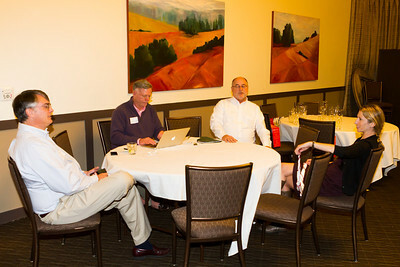 The setup crew, resting before the guests arrive. 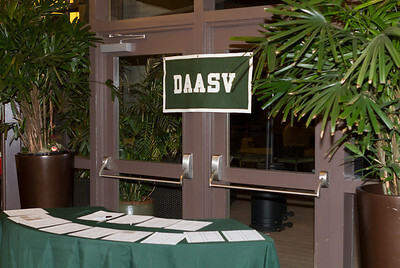 James von Rittmann, DAASV President, getting the cast energized. 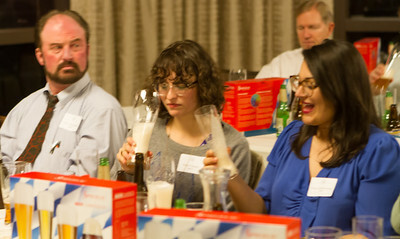 James introduces Melissa Hawkins, who will introduce us to Spiegelau glassware. 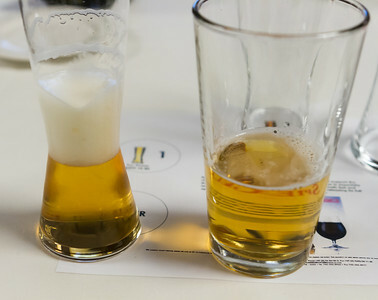 Looking through the Spiegelau glassware, the image is pretty clear. 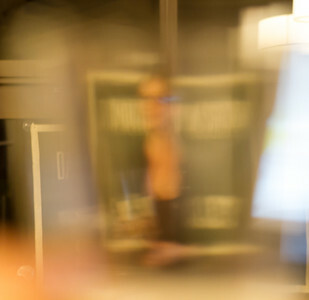 Looking through the "Joker" glass, not so clear. 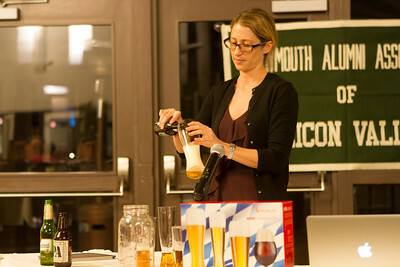 Melissa demonstrating the proper pour. 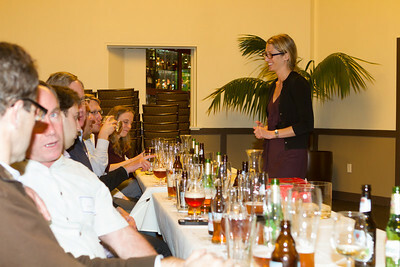 We thank Melissa for making this an excellent experience.